Airclean Bag Filters are manufactured at our works in Kent in a variety of grade including G3, G4, M5, M6, F7, F8, and F9 to EN779. 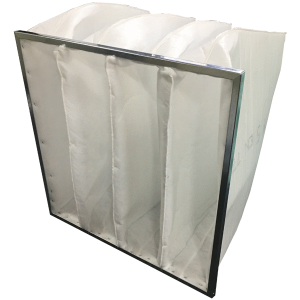 Bag Filters are manufactured with deep pockets and lofted filtration media that is sewn and fixed to a metal or plastic “header” frame, that can be slid and sealed into frames built into Air Handling Units, Air Filter Housings, and Ductwork. The deep pockets utilised by Bag Filters allow for higher Face Velocities and greater dust holding capacities than Panel Air Filters across the same face sizes, and often at a lower resistance to airflow. Low Efficiency Bag Filters in the Airclean range are called General Purpose and cover grades G3 to M5 to EN779:2012. These Bag Filters are commonly used as prefilters to mechanical ventilation system components such as fans, heating and cooling coils and also to higher efficiency Bag Filters. High Efficiency Bag Filters in the Airclean range are called High Performance and cover grade M6 to F9 to EN779. High Performance Bag Filters are used to achieve a greatly improved air quality by removing finer particulates such as pollen, carbon blacks and dust. High Performance Bag Filters are typically seen on Supply Air Systems to working environments such as schools and offices, with the top end Bag Filters being used in low grade medical facilities such as Minor Surgical Rooms and Recovery Rooms. Where variable air flows are expected and a high grade of filtration is required a Rigid Bag Filter offers a solution. 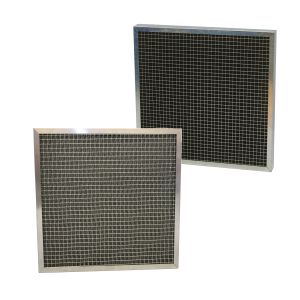 Meeting EN779:2012, this Rigid Pocket Filter will not collapse under low air flows, and can therefore offer a High Efficiency Air Filter at a low pressure drop. 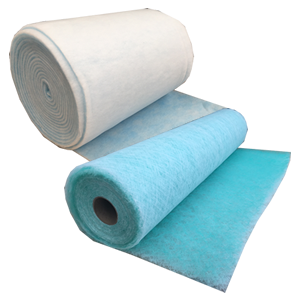 High Performance Air Filters including Multi-Pocket Bag Filters, and Rigid Bag Filters generally require pre-filtration from a lower grade Panel Air Filter, or Bag Filter to ensure a long service life particulary if Supply Air is sourced from an outdoor or dirty air source. Bag Filters have three standard header face, but it is not uncommon to see alternative, non standard face sizes. Airclean manufacture General Purpose and High Performance Bag Filters in any reasonable face size with any length pockets as replacements, or for new installs. Rigid Bag Filters are only available in three standard sizes. For standard sizes, along with their airflow ratings and pressure drops please consult individual product pages. As an Air Filter manufacturer, our Bag Filter lead times can vary, but generally we will aim to have your filters delivered within a maximum of 5-7 working days.